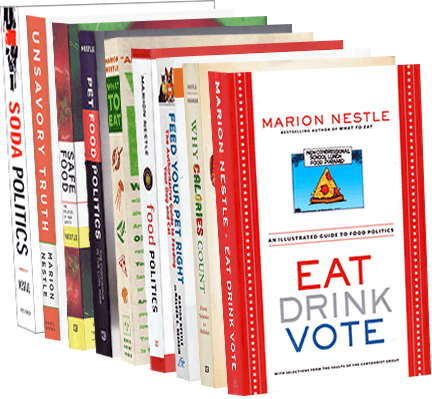 Food Politics by Marion Nestle » Question for today: how should we support mid-size dairy farms? Question for today: how should we support mid-size dairy farms? My “thought for a summer weekend” post elicited interesting comments. Let’s start with the one from FarmerJane, a mid-size dairy farmer who is a frequent contributor. She asks: How can farmers and consumers find ways to dialog and share information? Thoughts about ag are dominated by a few powerful big media writers. When we farmers try to speak, we find ourselves excoriated….Rural America does not seem to have any sort of spokesperson who has access to national media. The issues are framed by a handful of urban food-elite writing whose thoughts then trickle down to how rural farmers are perceived…I think the inclusion of farmers in food dialog would bring a multidisciplinary approach to the issue of food: environment, ag economics, animal welfare, food systems to name a few. But what are the ways this could happen? I feel that we, the average farmer of the middle are being marginalized. Fix milk marketing orders and “end-product” pricing. Right now, prices are paid to farmers according to the use of the milk. From high prices to low: Class I (fluid milk), Class II (yogurt), Class III (cheese), Class IV(butter/powder). If the push is to turn milk into yogurt, cheese, or butter, dairy farmers don’t get paid as much. Support mid-size dairy herds: The trigger point at which a farm becomes a CAFO in NY is only 200 cows. Extension estimates that meeting CAFO requirements at this limit keeps farmers at 199 cows because the compliance cost is something like $162,000. Her overall question: “How does one move these questions into the public realm for intelligent discussion? Senator Gillibrand has made it her business to understand dairy policies as they affect New York State. For anyone who has ever tried to understand milk marketing orders, that’s an achievement (see below). Responses? Any good ideas for FarmerJane? Here we go again: what does “natural” mean?